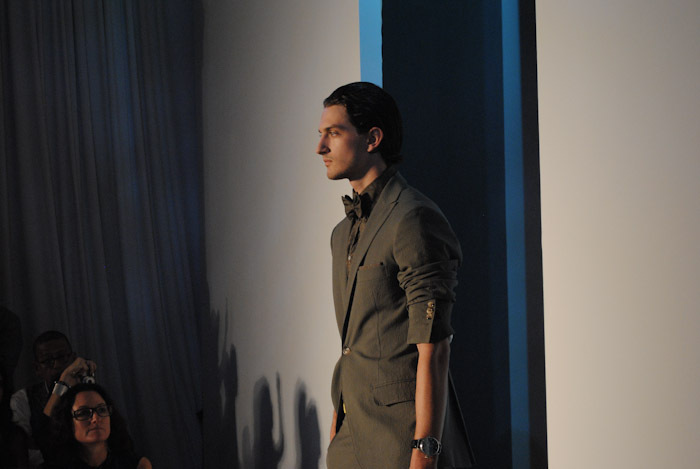 For Spring 2011, Michael Bastian took to the ocean. His show featured three acts—each with its own musical accompaniment and color scheme—of the life aquatic, which drew on imagery from, respectively, diving, sailing, and yachting. The first section featured shorts in neoprene with bright yellow piping, utility belts, and a beautiful pullover windbreaker. Next came the orange sweaters, jean jackets, and swim trunks reminiscent of a day spent following the wind around the harbor. Bastian ended with a selection of sharp suits and trench coats —the dominant color here being gray— that would look most at home on a cruiser, or perhaps even at lunch at the club. A large number of the looks were paired with bright Havaianas flip-flops, a surprisingly casual touch for a man whose preppy roots are as obvious as Bastian’s. Still, the looks were what we’ve come to expect from the designer, timeless classics with a jaunty twist. 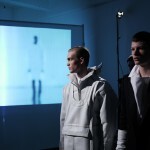 One windbreaker came in a attractive silver, and boxers peeked out from below some pairs of shorts, a signature touch. A vest that looked like a life jacket demonstrated the spirit of the collection, from the water born, but made for dry land. 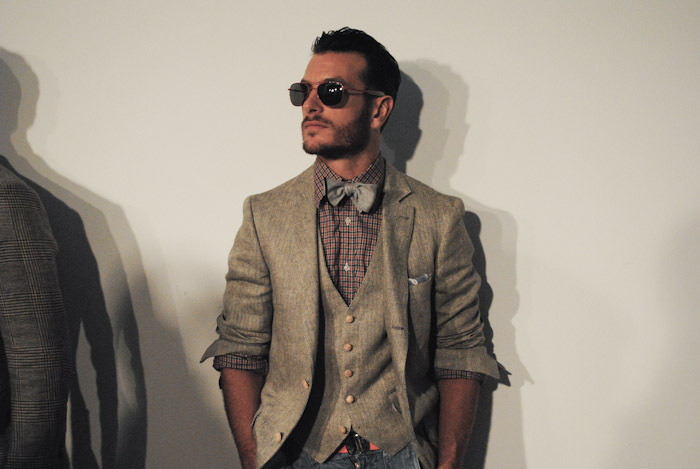 See the full collection, Michael Bastian at GQ UK. now this is the kind of designer I could definitely work with.